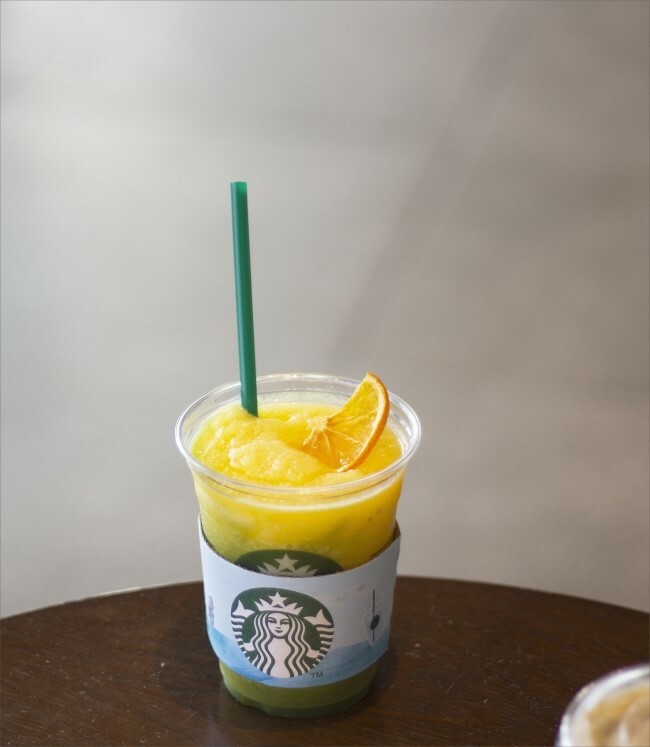 Starbucks Coffee Korea introduces a variety of Jeju specialties, which include various colorful colors inspired by the natural environment, at 18 stores in Jeju. Many customers find this an added delight in their Jeju trip. 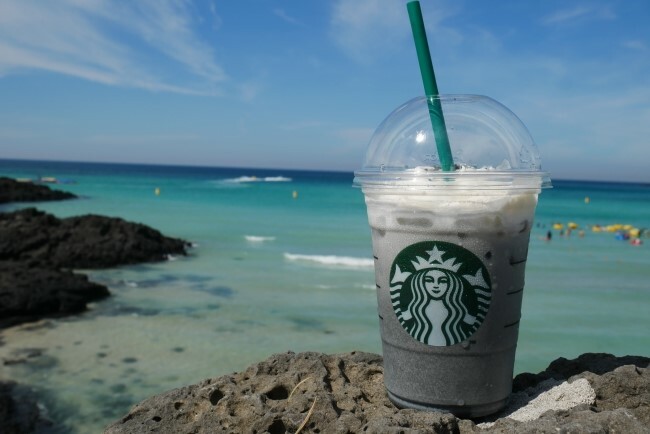 We introduce the best six Starbucks items which can be enjoyed only in Jeju. This is a good alternative if the morning coffee routine upsets your stomach. The black Sesame latte is filling as well. The Black Sesame Latte is one of the most popular menus at Starbucks shops across Jeju, because it is as filling as it is tasty. The taste is sweet and mild like grain latte, and if you love the sweetness of black soy milk, this is a good match for you. The Starbucks bagel series, which is also good for a meal, is very popular as a brunch menu. The bagels found at Jeju Starbucks shops take this to a different level. The Bacon Cheese Bagel, with its green color due to the use of green tea, has a very special look. 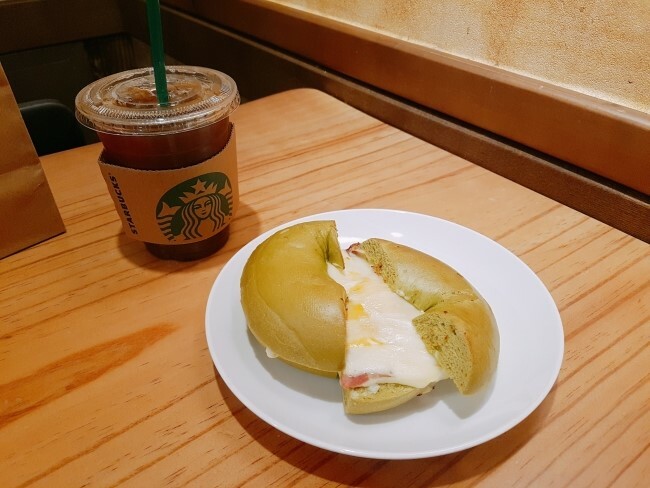 It is the signature menu of Starbucks shops in Jeju, found only on the island and offering a tasty harmony of chewy bagel and the delicate flavor of Jeju green tea. 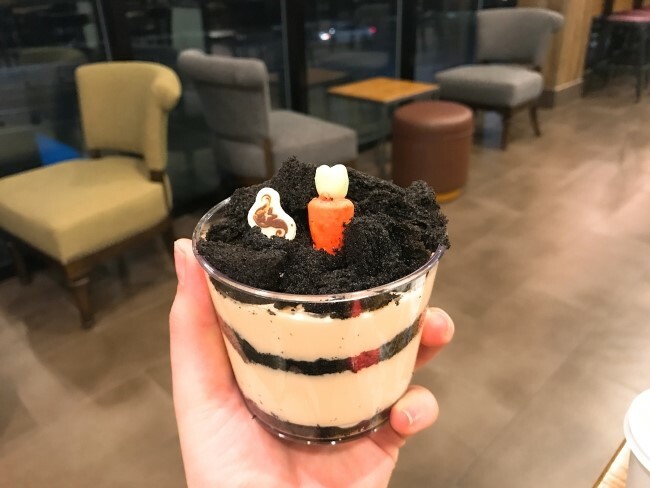 This is a cupcake made with black cake containing squid ink that looks similar to basalt rock and zesty carrot cream cheese mousse. The topping on top of the cake symbolizes carrots, the representative crop in Jeju. The fresh and zesty flavor of Jeju Hallabong is captured in a blended cup. The sweetness of Hallabong and matcha’s subdued bitterness are neatly mixed together, so that you’ll find the cup empty in no time. It is not a plain Croque Monsieur with layers of ham and cheese on thin bread. This is made with crispy and soft bread that reminds you of volcanic rock on Jeju, and special ham and cheese. The look of Jeju Matcha Shot Cream Frappuccino is similar to the existing Starbucks Green Tea Frappuccino. But the taste is quite different. 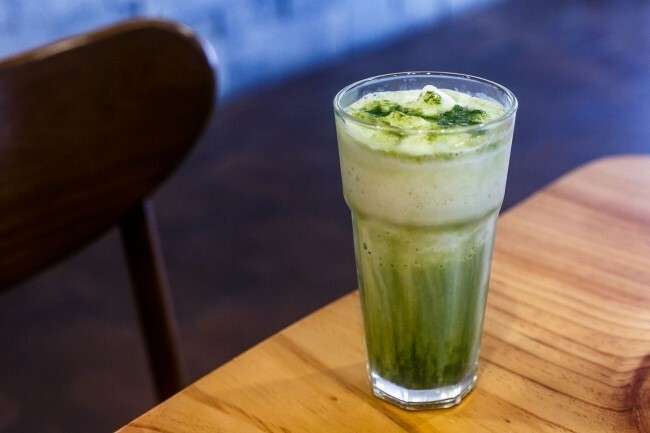 This one is made with a lavish dose of Jeju green tea, and is much sweeter and deeper in taste compared to the original green tea Frappuccino.